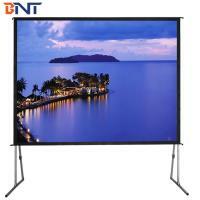 Fast fold screen is good design of the projection screen, easy to assemble and carry. Can protect well with an impact resistant carrying suitcase. Not need to fixed on the wall and ceiling, suitable for different needs, such as: exhibitions, banquets, concerts, large-scale business activities, etc..
1. The fast assembled frame is made of high quality aluminum alloy material, can bear over 50~100kgs weight, not easy to bend. 2. The aluminum frame is designed to be light weight and easily operated. 3. 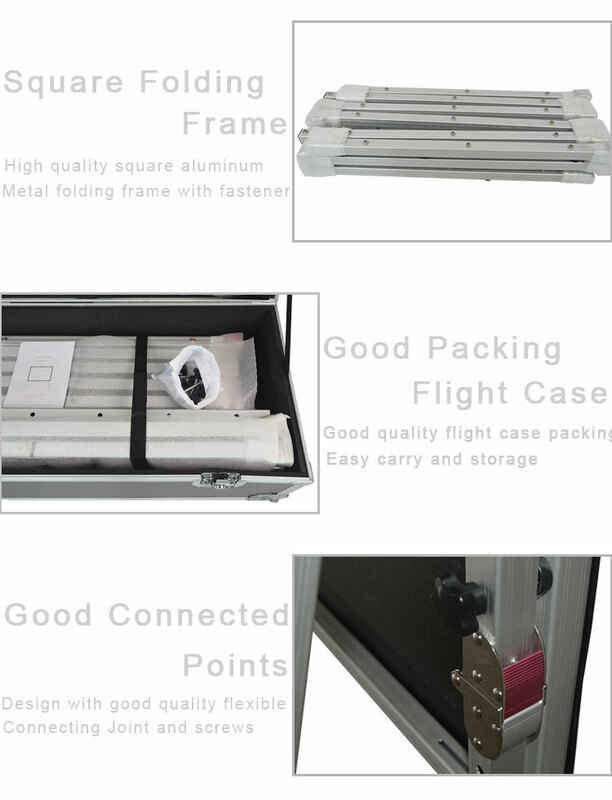 The aluminum frame is connect each other, easy to carry together. 4. Movable joint design, make the frame more flexibility and easy to carry, assemble and disassemble. 5. The screen fabric is attached to the rectangular frame and held in place by several press studs, which ensure an evenly stretched and perfectly flat surface. 6. The screen can be assembled in 3 minutes and with out the use of tools. When not in use the screen is stored in an impact resistant carrying case. 7. The frame adopts a square tube type design, so that the frame can bear high gravity and is not easy to collapse. 8. The joint part of frame is use of the spring fixed switch design, can make the frame more secure. 9. The frame using the streamline design, make the appearance more advanced and beautiful. 10. 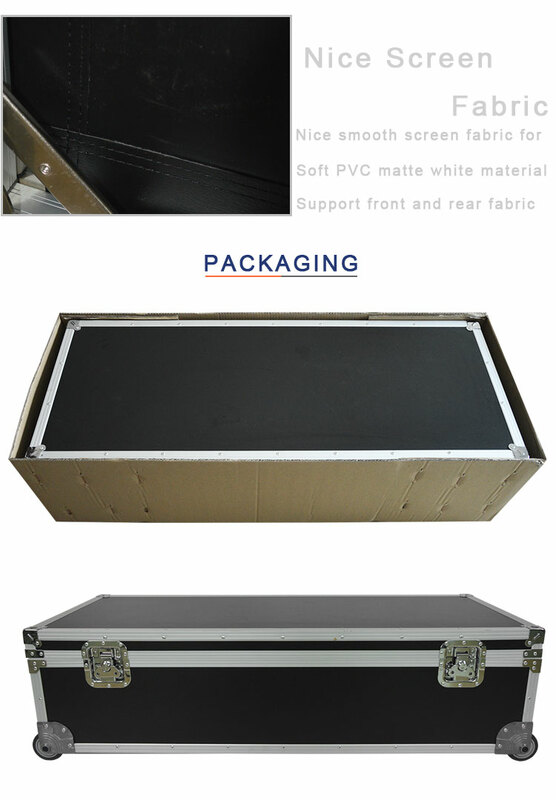 The floor support using the extension fixed foot design, make the screen more stable not easy to topple over. 11. Lightweight and can be folded, each part of the aluminum frame and frame without disassembly, easy to carry and transport, and can provide very good stability. 12. The frame and the bracket part, through the auxiliary crank shaft knob is fixed on the frame, the loading and unloading is convenient, stable smooth. 13. The frame fixed to the floor support with 8~16 pieces large diameter hand screws.